BCCL Recruitment 2016: The Bharat Coking Coal Limited is also called as BCCL which has been invited the application form from the eligible aspirants. The good news for the candidates who are looking for the latest govt jobs in Delhi can apply the Bharat Coking Coal Limited recruitment 2016. The applicants must refer the BCCL notification 2016 before apply the application form. The candidates who fulfill the eligibility criteria can apply the BCCL online application form 2016 through the official site. Here it's you can get the direct link for the BCCL application form and advertisement. So the applicants can easily apply the BCCL vacancy 2016. The candidates who want to know the latest job in India, then they must like our social page (Facebook, Linkdln, Twitter, Google+) for instant updates. The eligible aspirants can apply the BCCL recruitment application form start from June 15th 2016 and last date of the application on July 7th 2016. Finally post the hard copy of the application to the given address before July 17th 2016. The name of the post like Junior Overman, Overseer (BCCL), Mining Sirdar. Organization Name - Bharat Coking Coal Limited (BCCL). No of Vacancy - 721. Name of the Post - Jr Overman, Mining Sirdar. Job Location - New Delhi. Content Name - BCCL Online Application Form 2016. Application Mode - Online or Offline. The candidates should have an age limit not less than 18 years and not exceed 30 years as on July 7th 2016. Age relaxation will be applicable for the reserved applicants as per the govt norms. Junior Overman: Pass the Diploma in Mining Engineering/Gas Testing Certificate/Overman's Certificate of Competency. Overseer (Civil): Possess the Matriculation/ Diploma in Civil Engineering or it's equivalent qualification from a recognized university/institute. Mining Sirdar: Candidates who must have the First Aid Certificate/Gas Testing Certificate/Mining Sirdar Certificate by Director General of Mines Safety can eligible to apply the BCCL recruitment 2016. The selected aspirants in Bharat Coking Coal Limited vacancy 2016 will be based on the following rounds. The general candidates need to pay Rs. 200/- for the application fee. There is no fees required for the reserved applicants (Ex-Serviceman/SC/ST/PWD) & Departmental aspirants. The shortlisted applicants will be getting the monthly pay scale as per the government norms. For more details check on the BCCL notification 2016. Submit the application form and save it. Lastly post the hard copy of the application form along with required documents to the give address. Opening date of online application; 15.06.2016. Closing date of online registration: 07.07.2016. Last date for payment of application fee: 10.07.2016. Last date for hard copy of application form submission: 17th July 2016. 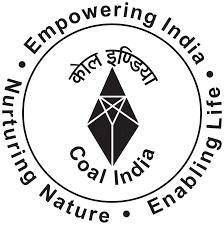 Bharat Coking Coal Limited Recruitment Notification 2016.